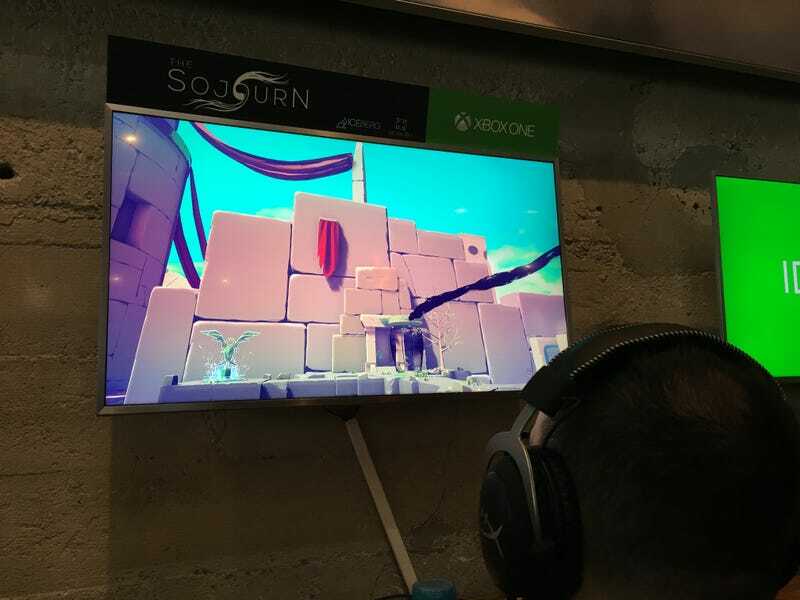 Just checked out a puzzle game called The Sojourn at an Xbox event at GDC. Just checked out a puzzle game called The Sojourn at an Xbox event at GDC. Really neat Portal-style game in which you swap places with statues and activate other stuff in the environment to move through the levels. Coming this summer.